Panini di Mare Gourmet, a sea of ​​possibilities! Panini di Mare is a new and revolutionary way of thinking sea food. An Italian fast food, a countertendency, a revolution. It's the sea taste available whenever and wherever you want. 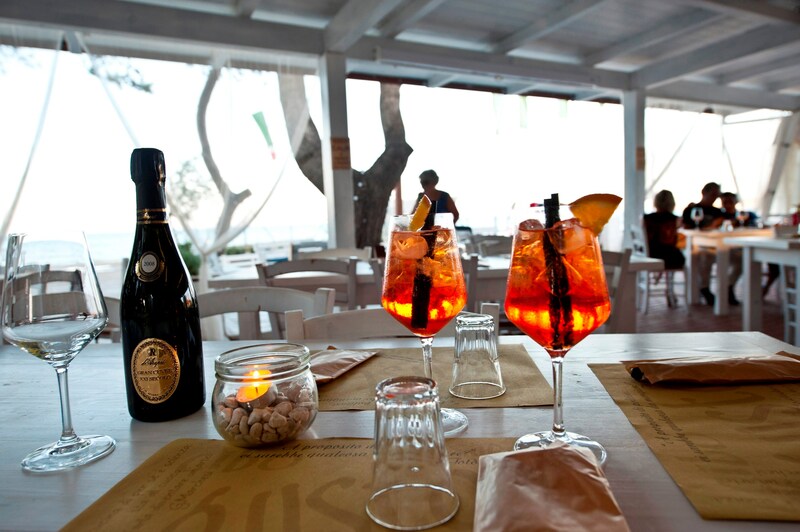 It's a sea restaurant that rejuvenates and becomes your favorite place for a quick lunch or a healthy and genuine aperitif. Panini di Mare was born on the sea, but his eyes reach far. Our franchising has already opened its doors in Milan, Turin and Peschici to bring the quality of our products wherever you want, because the genuine fresh fish taste is free from the idea of ​​a big meal. Here at Spiaggia Lunga, Mario Ottaviano, the Panini di Mare chef and co-creator with Ersilia Montalto, has decided to expand this taste experience by proposing a menu rich in refinement, freshness and novelty. Panini di Mare Gourmet is our corner dedicated to sea food. Here you can choose your sandwich, tartare or seafood salad or you can get comfortable on our terrace and choose from the selection of the catch of the day, the ingredients for your excellent dinner at km 0 that enhances the unique flavor of genuine local products . Panini di Mare Gourmet, is a unique, young and fragrant place on the Santa Maria di Merino beach, in Vieste.